The celebration of love is just coming, there is just one day until Valentine’s Day. After the flowers and the romantic dinner, nothing is better than a nice walk at a cozy, intimate and heart-warming place, holding hands with your beloved one. 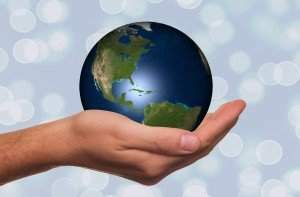 However, the following places are worth visiting throughout the whole year. The steep and narrow street leading to Rózsadomb is one of the best hidden treasures of Budapest. It is one of the few places in the city where the atmosphere of the 1500s can still be felt. The covered streets are lined with alternating modern and old buildings. 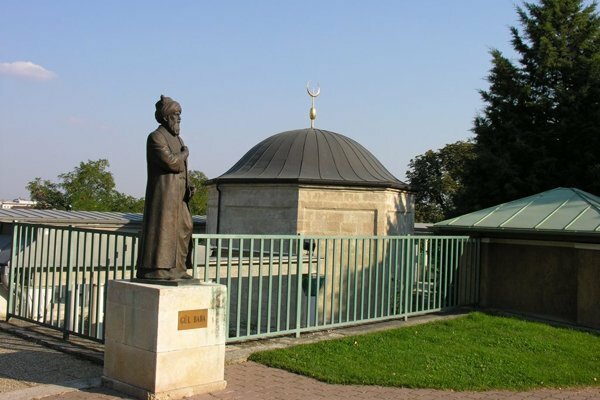 At the end of the street, there is the Tomb of Gül Baba: the chapel of the Muslim warrior monk is the northernmost holy place of the Islam. From the tomb, there is a beautiful view of the rooftops, Pest on the other side of the river, and the Buda hills. A walk in the Buda Castle District is popular among tourists and for couples, too. 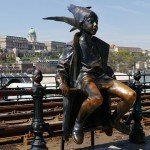 The most popular route is the Fortuna Street-Fisherman’s Bastion-Tárnok Street-Szent György Street, bust the less discovered Tóth Árpád promenade is evenly romantic. The promenade is bordered by trees, houses, and the Buda hills. Towards the end of the promenade, go to Ruszwurm Confectionery for a cup of hot coffee, and crown the date with a kiss over a delicious Ruszwurm cake. 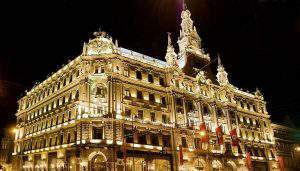 For the turn-of-the-century locals of Pest, it was a very popular pastime to stroll at the Dunakorzó, in front of imposing hotels. 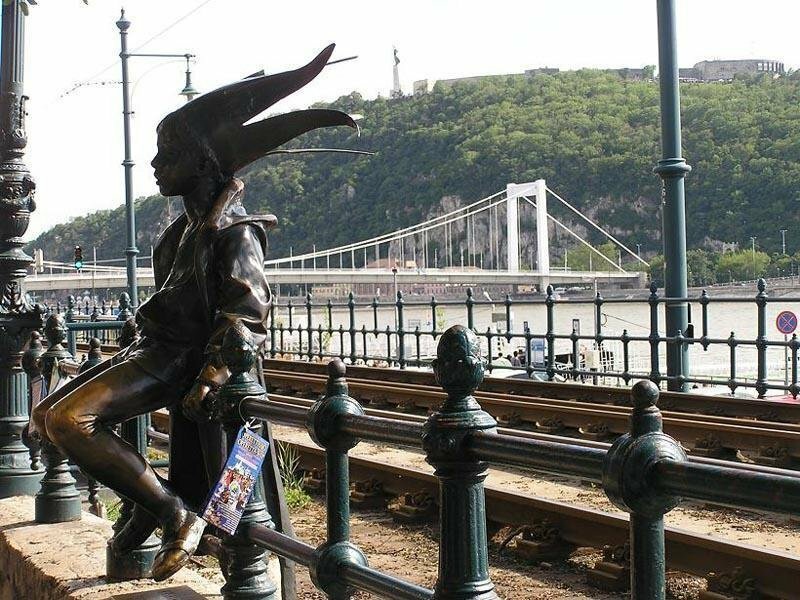 The graceful Danube, the dramatically rising Gellért Hill, and the Royal Palace still fills your heart with warmth and admiration, not to mention the sculptures and fountains, where you can take a Valentine’s Day selfie with your love. A big favourite is KIOSK at Máricus 15. Square – listen to the music of emerging Hungarian musicians while having a cocktail or dinner. Mikszáth Square together with the promenade of Krúday Gyula Street makes one of the friendliest and most Parisian atmosphere in Pest. From the two writers, Krúdy’s spirituality prevails rather: many restaurants, pubs and bars evokes the eternal romantic writer. The peace and the fizzling meet at Miszáth Square, you should also meet your love there! You can sit in to Lumen for a coffee or a craft beer. Kamra at Lőrinc pap Square is also popular among university students, their special drink called ”kamrabumm” is legendary. As we have evoked Krúdy, we must not forget about his favourite place, Óbuda. Gyula Krúdy lived at Korona Square 1 in his last years, when Óbuda was still more romantic: no residential areas, no roads, only small pubs, inns, vineyards, and relaxing youngsters. A major part of Óbuda was the victim the urban planning following the ’50s: only a few cobbled streets remained – like the Main Square, the Korona Square, and their surroundings. The latter was called ”Krúdy neighbourhood” in 2013. 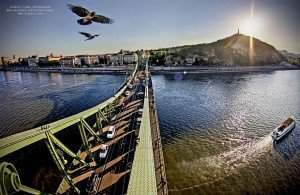 For the romantics, we offer the districts situated on either side of Árpád Bridge. We will not notice the ten-storey block of flat, even if we visit Kéhli for a good soup, which is so hot as ”my baby’s heart”. Even before the day he died, Krúdy ran there for a few bottles of good wine.